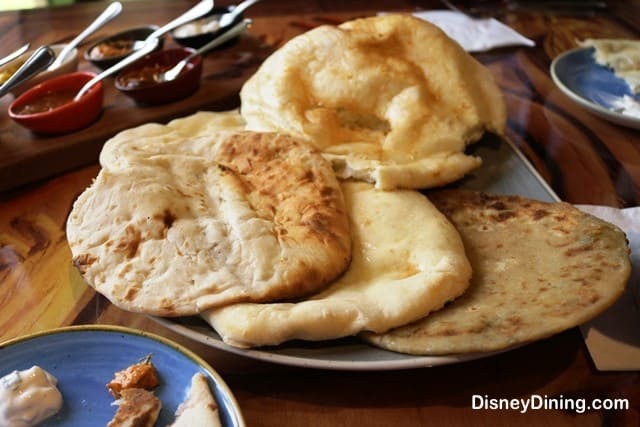 5) Sanaa – Guests who visit Disney’s Animal Kingdom Lodge simply must take the time to enjoy a meal at a full service dining location that offers up cuisine as amazing as the views. Sanaa is open daily for breakfast, lunch, and dinner and serves up unique and delicious menu offerings that are inspired by the flavors of Africa. While enjoying their meals, guests can also look out large windows to take in sweeping views of the savannah and free roaming animals. In order to make the most of a dining plan meal at Sanaa, guests should start with the $16.00 Artisanal Cheese Selection which features assorted cheeses with traditional accompaniments. The Grilled New York Strip is the most valuable entrée option at $34.00 and is served with warm new potato salad, harvest vegetables, and Bain’s Butter. Guests who save room for dessert are sure to love the Kenyan Coffee Petit Entremet which costs $9.00 and features Kenyan coffee-chocolate mousse, espresso financier, vanilla cremeux, caramel, and Kenyan coffee crumble. The most valuable cocktail that guests should enjoy at Sanaa is the $12.00 Malawi Mango Margarita which is a frozen blend of tequila, Van der Hum Tangerine Liqueur, mango puree, and freshly squeezed lime juice.